The Kippax Group Centre Master Plan Community Panel Outcomes Report and the final stage of community engagement on revisions to the draft master plan were released on Saturday 23 December 2017. This period of engagement will run until Friday 16 March 2018. This particular engagement will be longer as it runs over the school holidays which we are unable to count as part of the engagement period. This link will take you to the Your Say page with details of the engagement. The BCC have prepared this presentation on the negative impacts of surrendering an oval to become a shopping centre, when better options exist. The community oval is much loved and highly valued. 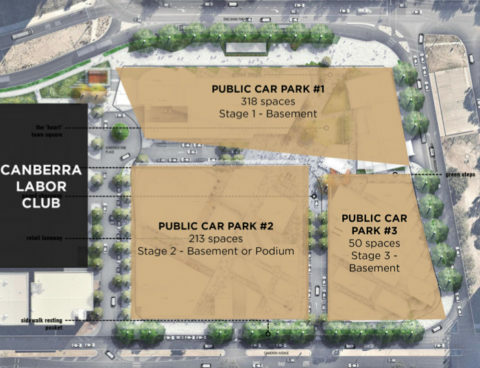 The government owned carparks and old buildings in Kippax could be used to provide more retail space, or the owners of Kippax Fair could redevelop their building. Turning an oval into a shopping centre is not the best option. 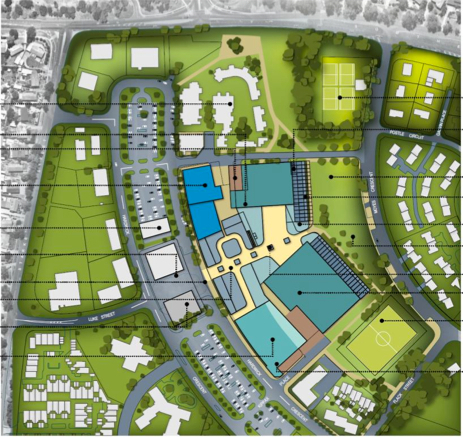 We encourage all Belconnen residents to express their opinion on this master plan at the link above. 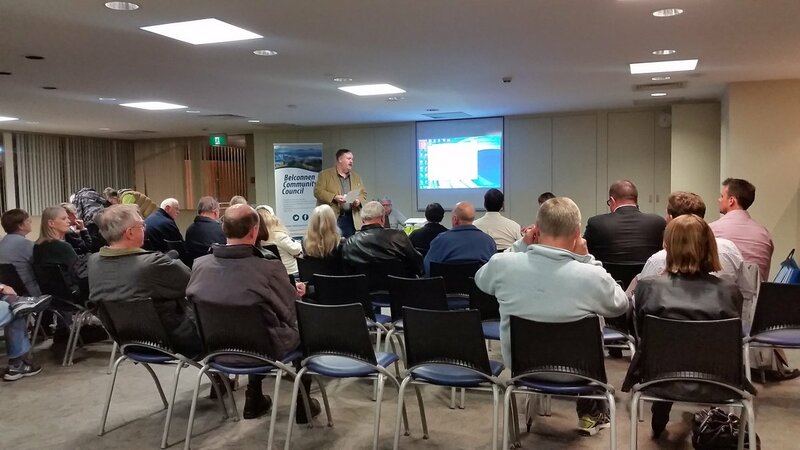 GEOCON have provided the Belconnen Community Council with a document containing details of car parking in the completed Republic development. That document can be found here. The BCC should note that the Development Application lodged by GEOCON is for Stage 1 only. A special meeting will be held at the Community Room above the Belconnen Library on June 13 at 7-9PM for members of the public to view the GEOCON DA and ask questions of the architects. 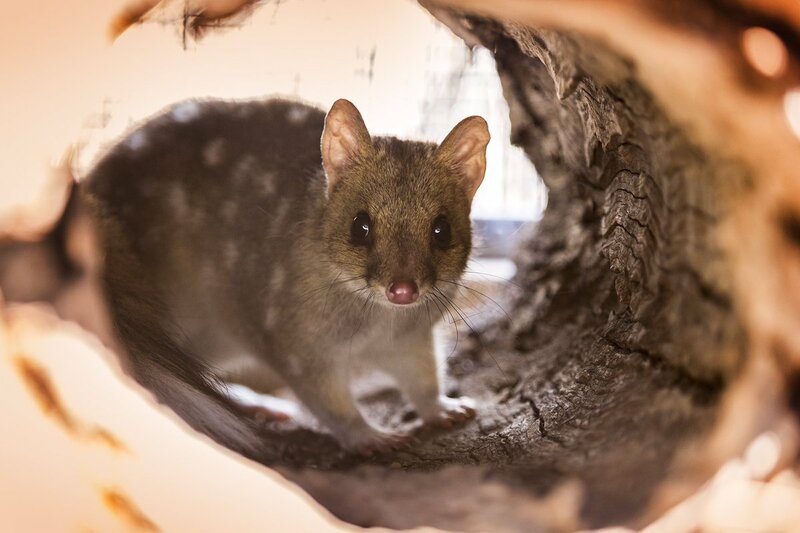 The ACT Budget was handed down this week and it appears to be a safe and steady budget, with a focus on services. Investment will be focused on schools, hospitals, roads and parks. Oddly for an election year, little pork barreling seems to have occurred anywhere in Canberra. The biggest single investment in Belconnen is for the University of Canberra Public Hospital currently being constructed on the corner of Aikman and Ginninderra Drive. The investment in that facility from this budget is $212 million dollars, and will benefit all of Canberra, not just Belconnen residents. As well as much needed health facilities it will provide jobs and become part of the integration of UC with the town centre. Some budget announcements that directly benefited Belconnen were the announcement of the duplication of Aikman Drive and upgrades to local shopping centres at Charnwood and Spence.Belconnen schools will receive upgrades, such as an early learning space to be built at Maribyrnong Primary in Kaleen and the CIT in Bruce will receive 1.7M dollars towards upgrades. Local playgrounds in Florey and Evatt will be also be provided with finds for upgrades and improvements. The 9.8M dollar Aikman Drive duplication announcement is an important step in smoothing traffic through the town centre, especially with a growing population accessing town centre services, such as the UC Public Hospital that is being built right now. As well as the road duplication, a cycle path and footpath will be constructed. Other heavily used arterial roads in the area require attention, such as Kuringa Drive and William Slim Drive, and the BCC will continue to lobby for those upgrades. What do you think of this budget? Where can the government invest our money and improve Belconnen? What specific improvements do you think are needed? The BCC received the following communication from the National Capital Authority on 11 May 2016. 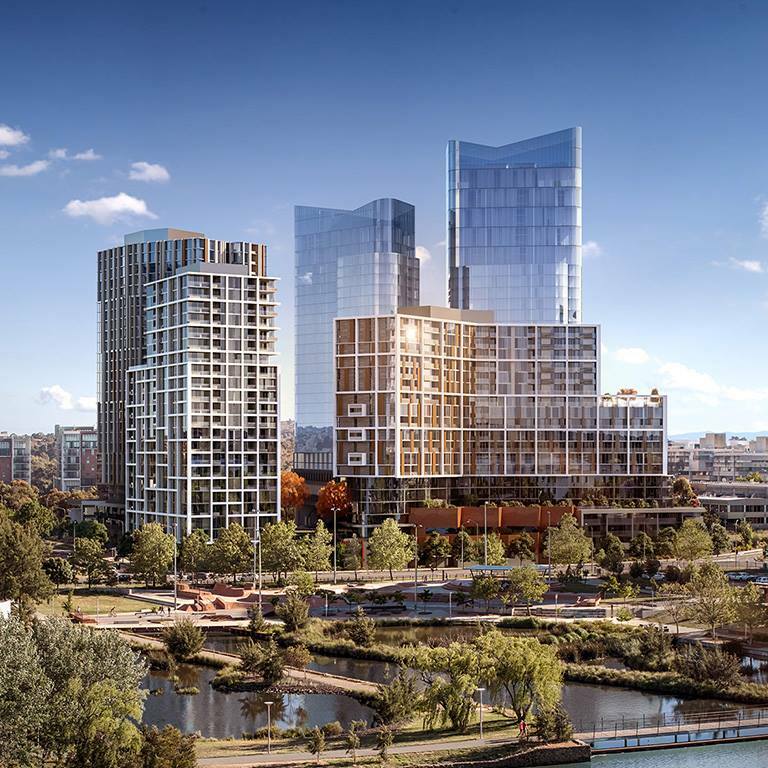 “I am writing in relation to your submissions on both National Capital Plan Draft Amendment 85 – West Belconnen Urban Development and Draft Amendment 86 – Revised National Capital Plan. On 5 May 2016, the Minister for Major Projects, Territories and Local Government, the Hon. Paul Fletcher, approved Amendment 86 – Revised National Capital Plan. Amendment 86 incorporates the changes to the Plan proposed by Draft Amendment 85 – West Belconnen Urban Development, and varies the land use policy for the West Belconnen area from ‘Hills, Ridges and Buffer Spaces’ to ‘Urban Areas’. To simplify the approvals process the National Capital Authority (NCA) elected to combine the two proposals. Amendment 86 took effect on 6 May 2016. Belconnen, Mitchell, Kenny and Ginninderra. Institute of Sport, and the Defence Housing Authority’s Academy Close site. Thank you for your interest in changes to the National Capital Plan. Are you still enrolled to vote in Belconnen? In 2015 the Australian Electoral Commission changed the boundaries for Canberra’s Assembly seats. The ACT went from three seats and 17 MLA’s to five seats and 25 MLA’s, from the 2016 Assembly election. 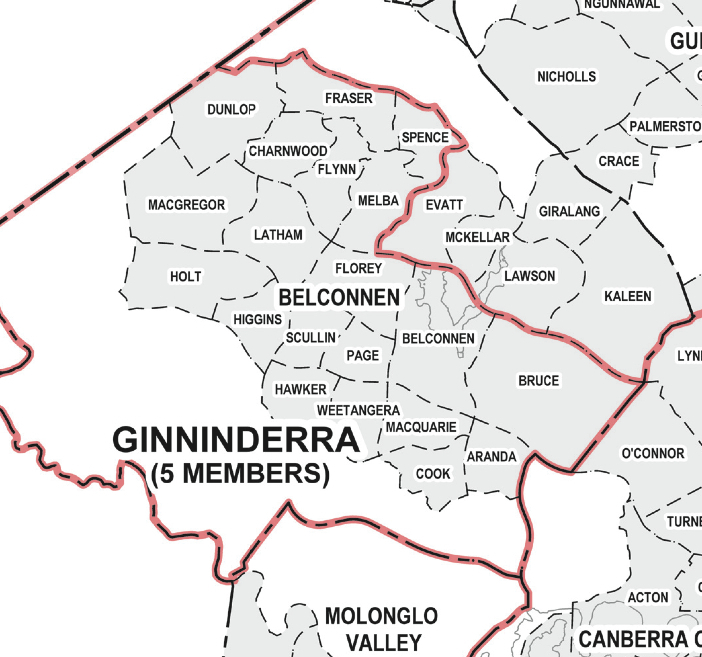 Prior to 2016 all residents of Belconnen were in the Assembly seat of Ginninderra. 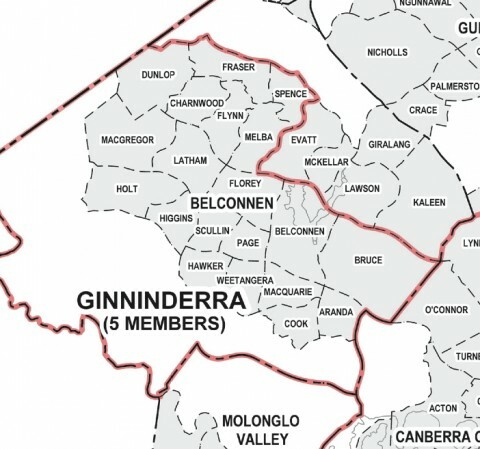 You may now live in Belconnen, but now vote in the predominantly Gungahlin seat of Yerrabi. The map above shows where the electoral boundaries of Ginninderra are in 2016. The changed boundaries affect the voters of Evatt, Mackellar, Lawson, Giralang and Kaleen. If you are enrolled to vote you will not have to do anything except be aware of which seat you are now in. If you were keen on a particular candidate, you may no longer be able to vote for them! Be mindful of where you are enrolled and ensure the policies you are voting are ones you support, ask your local candidates questions about issues that matter to you. 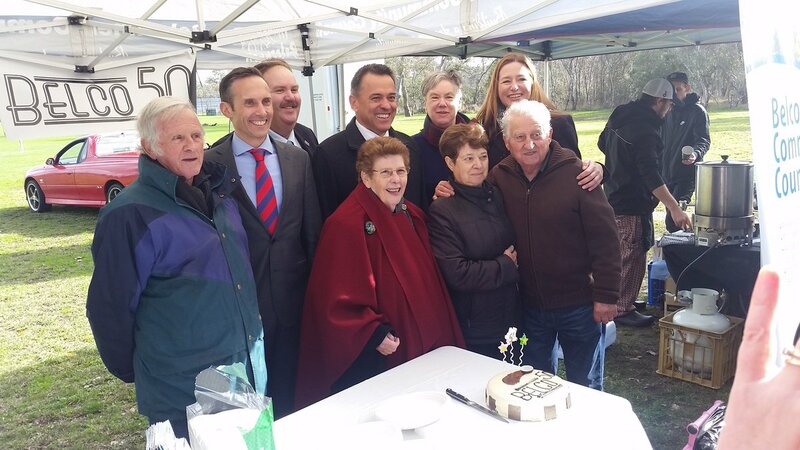 Although much of Belconnen is in Ginninderra, the residents of Belconnen in Yerrabi deserve the same priority as Gungahlin residents. If you are over 18 and an Australian citizen you must enroll to vote. You can ensure your details are up to date by checking with the Australian Electoral commission at this link. If you are not enrolled you can download a form here or visit the AEC site here. You can change your enrollment details and update your address here. Voting is important and keeps our democracy strong and relevant.